Greetings all.Looks like a busy Wednesday, and a quiet weekend.From Wednesday 30 at 6 pm, Cambodian Living Arts presents the exhibition Chhnang! about traditional and contemporary pottery making. The opening includes a dance performance about chhnangs at 6:40pm, and Q&As with representatives from the different projects featured in the exhibition. Even more infoAlso on Wednesday 30, Java Café and Gallery hosts their regular monthly poetry night inviting all styles of writing and literary arts to take part. From 6 pm to 7 pm there is a “meet-up” for sharing and discussion on writing projects or other activities the individuals are involved in. At 7 pm, this month’s featured reader is Melbourne based Carly Nugent. At 8 pm the stage is open for all comers. Note: a new exhibition by Khmer artist Asasax in the lobby at the Hotel Cambodiana has now been postponed to June 30. And finally, on Wednesday 30, Phnom Penh Community College continues its series of evening art workshops hosted by Adriana Snochowska: this week The Retro Clock – followed over the following two Wednesdays with Cubism and Negative Space in Abstract Painting. Bookings essential. Coming soon: on May 9, an Amrita Performing Arts show featuring works in progress by four emerging Cambodian choreographers: Khen Vanthy, Khon Chansina, Khon Chan Sithyka, and Noun Sovitou at the Department of Performing Arts, Phnom Penh. Advance tickets available from Amrita office (128G9 Sothearos Boulevard) or Java Café. Also coming soon to Meta House: Cages Torn Open, a striking new exhibition by artist and sculptor Chhan Dina, from May 13. Kumnooh is now heading towards its first anniversary, in May, and will be conducting an overhaul of the information gathered at kumnooh.com. If your arts organisation wish to update your details now would be a good time to get in touch. Wednesday 30 at 6 pm, Cambodian Living Arts presents the exhibition Chhnang! about traditional and contemporary pottery making. The opening includes a dance performance about chhnangs at 6:40pm, and Q&As with representatives from the different projects featured in the exhibition. Even more infoWednesday 30 from 6 pm, monthly poetry night at Java Cafe. From 6 pm to 7 pm writers’ meet up; 7 pm, this month’s featured reader Melbourne based Carly Nugent; 8 pm open stage. Wednesday 30 from 6.15 pm, Phnom Penh Community College continues its series of art workshops hosted by Adriana Snochowska: this week The Retro Clock – followed over the following two weeks with Cubism and Negative Space in Abstract Painting. Bookings essential. Our Books presents SketchNotes: Free and Open Source Software Asia at Rik Reay Gallery and Noodle Shop (St 178 near St 19). The full set can be seen on the Our Books web site. Until April 30. 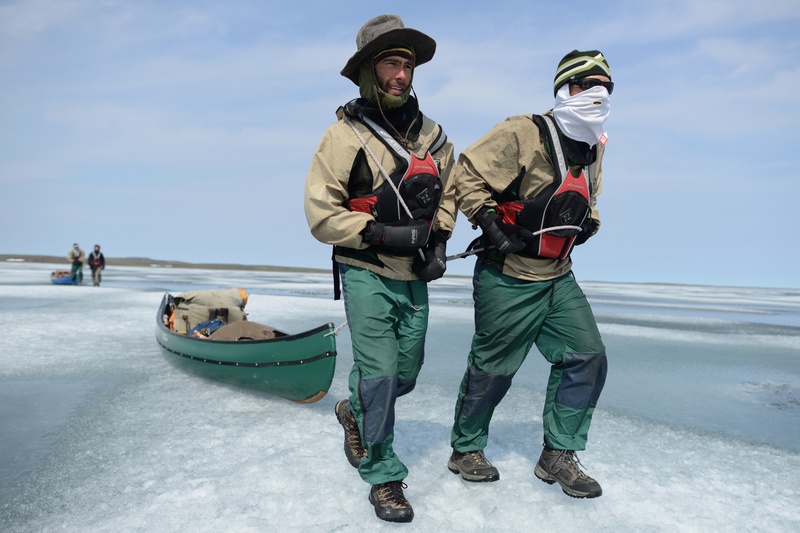 At Meta House tonight, Tuesday 22, the opening of a photographic exhibition, Artic Bound: 1,000 miles across Canada by canoe, documenting a two-month hourney undertaken in 2013 by Phnom Penh-based photojournalist Ben Woods and five friends. From 6 pm. In Siem Reap, Spoken Arts returns on Tuesday 22, encouraging all comers to read, share, or otherwise participate in an audience-ish manner from 8.30 pm at Siem Reap Party House, Sok San Road. On Friday 25, the return to Bophana Center of multi-disciplinary artist Khiang Hei and his team Space Reversed, a collective of musicians, performers, singers, focusing on the space and its interaction with the audience. From 7 pm. Bophana’s Cineclub/Cine Saturday double bill this weekend presents Chaplin’s The Great Dictator at 2 pm paired with 1996 Persian film A Moment of Innocence at 5 pm. And if you like your films outside, on Monday nights at The Mansion behind FCC, you can witness classic Khmer silent films from 7 pm each Monday. The gallery and bar will also be open. Two Cambodian artists, Vandy Rattana and Amy Lee Sanford, are among the 30 finalists in the Sovereign Asian Art Prize 2013-14. You can view the finalists gallery and place your vote here. Tuesday 22 at 6 pm, the opening of a photographic exhibition, Artic Bound: 1,000 miles across Canada by canoe, documenting a two-month hourney undertaken in 2013 by Phnom Penh-based photojournalist Ben Woods and five friends. Tuesday 22 from 8.30 at Siem Reap Party House, participatory spoken word with Spoken Arts. Friday 25 at 7 pm at Bophana Center, Khiang Hei and Space Reversed, a collective of musicians, performers, singers, focusing on the space and its interaction with the audience. Monday nights at The Mansion behind FCC, you can classic Khmer silent films from 7 pm. Greetings all.The arts week kicks off on Thursday 17 with a poetry slam at Showbox (St 330, around the corner from the Genocide Museum), featuring Kosal Khiev, Poet G, Kaztet Dee, Vatthina Tola and Myley Rattle, for those who like poetry with a bite. 7.30 pm start. This weekend Bophana’s Cine Saturday at 5pm features war era specials: Cambodia: Phnom Penh Surrounded (1975) followed by The Khmer Rouge: Power and Terror (2001). Then later on Sunday 20 at Meta House, at 8 pm, a guitar recital by Salvatore Fodera, from Naples, Italy. Tickets are available at the door from 7.30 pm – limited to 80 seats. Thursday 17 at 7.30 pm: poetry slam at Showbox (St 330, around the corner from the Genocide Museum), featuring Kosal Khiev, Poet G, Kaztet Dee, Vatthina Tola and Myley Rattle, for those who like poetry with a bite. More infoSaturday 19 at 5 pm Bophana’s Cine Saturday at 5pm features war era specials: Cambodia: Phnom Penh Surrounded (1975) followed by The Khmer Rouge: Power and Terror (2001). Sunday 20 at 6 pm Meta House presents the opening of Sicilian Roberto Traina’s new photo exhibition Humanscapes. Sunday 20 at 8 pm at Meta House, a guitar recital by Salvatore Fodera, from Naples, Italy. Tickets are available at the door from 7.30 pm – limited to 80 seats. Greetings all, and happy new year. Already opened yesterday, Monday 7, Our Books presents SketchNotes: Free and Open Source Software Asia at Rik Reay Gallery and Noodle Shop (St 178 near St 19). Sketch artists and note-takers Kong Monirath and Hong Bora depict the many sessions of this recent South East Asia wide meeting on accessible software, tools and methodologies, including Open Comics! The full set can be seen on the Our Books web site. Tuesday 8 the Made in Battambang exhibition recently shown in the L’institute francais in Phnom Penh comes home, spread across numerous venues, with the inclusion of new works not seen in the Phnom Penh show. Lotus Gallery (#53, St 2.5) and Maek Maek Galleries will open the show at 5.30 pm on Tuesday 8, then Sammaki on Wednesday 9, and Sangker Gallery and Jaan Bai restaurant will open on Thursday 10. Back in Phnom Penh on Thursday 10 at 7 pm at The Mansion (Sothearos Blvd, near St 178) the opening of a double exhibition. Re-housing of Non Houses is a collaborative work by photographer Fani Llauradó and artist Chhan Dina, combining photography and painting to explore the use of public and social space. Also in opening is collection of large format paintings by Chhan Dina, reflecting her ongoing themes of life, music and everyday activities. Bophana’s Cine Saturday from 5 pm features two Khmer films to mark the new year celebrations: New Year from 2007 and Ratanak’s Heart from 2009. Free entry. Bophana Centre, St 200 (btw St 63 and Monivong). 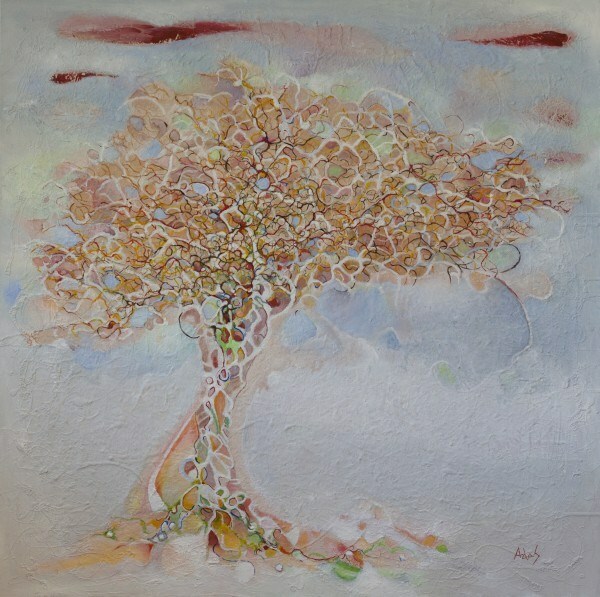 Next weekend, Saturday 19, Tim Robertson is hosting another encaustic workshop (using beeswax and tree resin to paint or transfer images onto wood) with informal demonstrations and active participation. There is room for 15 participants, check it all out on the link below. Venue near Psar Chas. Direct contact at timothyirobertson [at] gmail.com (subject line: Encaustic Workshop). The Angkor Photo Festival 2014 dates have been set – November 29 to December 6 – and submissions are now being invited, with a closing date of May 30. Finally, Java Arts is encouraging young Cambodian artists to apply for the Future Generation Art Prize, run by the Victor Pinchuk Foundation, open internationally to artists under 35. Applications are open for just one more week. Made in Battambang goes to Battambang: Lotus Gallery (#53, St 2.5) and Maek Maek Galleries from 5.30 pm on Tuesday 8, Sammaki on Wednesday 9, Sangker Gallery and Jaan Bai restaurant on Thursday 10. Thursday 10 at 7 pm at The Mansion (Sothearos Blvd, near St 178). Re-housing of Non Houses by photographer Fani Llauradó and artist Chhan Dina, combining photography and painting to explore the use of public and social space. Also a collection of large format paintings by Chhan Dina, reflecting her ongoing themes of life, music and everyday activities. Sa Sa Bassac gallery presents a new exhibition by Thai artist Mit Jai Inn, Postpositive: Freaky You Are Always. Meta House hosts a photographic exhibition, the culmination of a competition by Transparency International Cambodia on the theme of how corruption negatively affects the world . At Meta House on Wednesday 2, from 6 pm, the work of IB DP art students from Northbridge International School are featured in Envisage, with a range of styles, concepts and media. 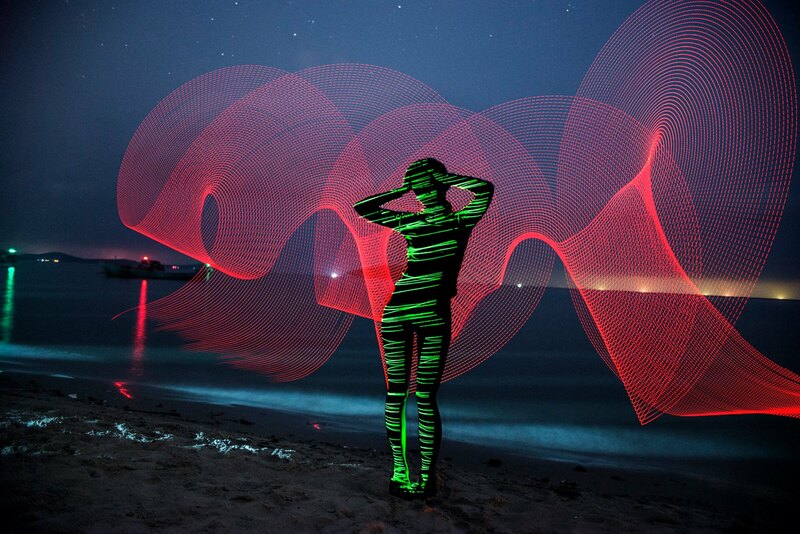 The young artists being exhibited are Fahed Sharaf, Joobin Lee, Aspasie Song, Danny Oh, Amaraa Ok, and Nicole Ardon. At Sa Sa Bassac, on Thursday 3, the opening of a new exhibition by Thai artist Mit Jai Inn, Postpositive: Freaky You Are Always. The Internet tells us the works hover between painting and sculpture… starts at 6 pm. On Friday 4 from 6.30 pm, Meta House hosts a photographic exhibition, the culmination of a competition by Transparency International Cambodia on the theme of how corruption negatively affects the world . The exhibition opens at 6.30pm followed by a prize-giving ceremony for the competition winners at 7.30pm, and then by Beats against Corruption – a live performance club night. On Saturday 5, Phnom Penh Community College hosts a double drawing workshop: Beyond the Self, an exploration of the history and possibilities of self portraits, followed in the afternoon by Figure Drawing. As ever, prebooking is essential, through info@phnompenhcommunitycollege.com. This Saturday 5 at Bophana, Cineclub at 2 pm features short films by Ly Polen, the winner of Best Film at Chaktomuk Festival 2013, and second prize at Tropfest South East Asia 2014 in Malaysia. The screening will be followed by a discussion with Ly Polen. Cine Saturday at 5 pm features a Khmer version of Reamker, Dance With Gods, directed by Stéphane Lebon. Sunday 6 at 6 pm, DownTown Collective presents a new photographic exhibition opening at Equinox Bar (St 278 near Wat Lanka) entitled Phnom Penh Streets. You can view a preview at YouTube. Wednesday 2, from 6 pm, at Meta House, the work of IB DP art students from Northbridge International School in Envisage, with a range of styles, concepts and media. Thursday 3, at Sa Sa Bassac, the opening of a new exhibition by Thai artist Mit Jai Inn, Postpositive: Freaky You Are Always. Starts at 6 pm. Friday 4 from 6.30 pm, Meta House hosts a photographic exhibition, the culmination of a competition by Transparency International Cambodia on the theme of how corruption negatively affects the world . Prize-giving ceremony for the competition winners at 7.30pm, and then by ‘Beats against Corruption’ – a live performance club night. 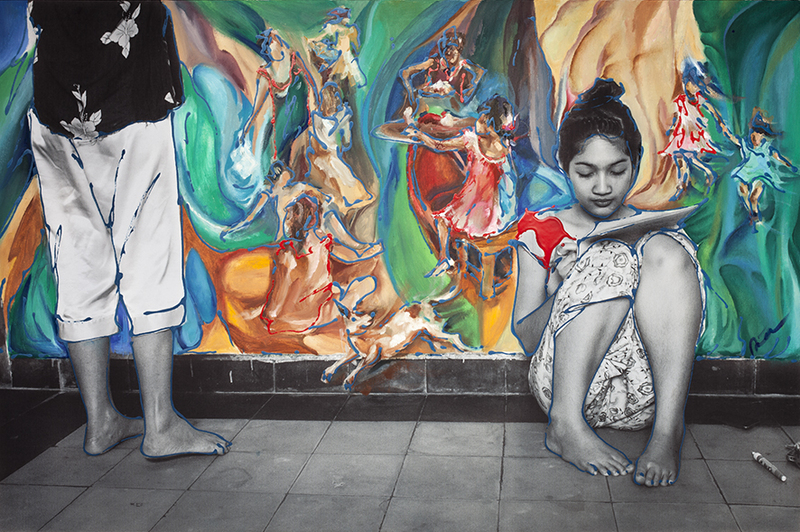 Saturday 5, Phnom Penh Community College hosts a double drawing workshop: Beyond the Self (self portraits) and Figure Drawing. As ever, prebooking is essential, through info@phnompenhcommunitycollege.com. Saturday 5 at Bophana, Cineclub at 2 pm features short films by Ly Polen, the winner of Best Film at Chaktomuk Festival 2013, and second prize at Tropfest South East Asia 2014 in Malaysia. Cine Saturday at 5 pm features a Khmer version of Reamker, Dance With Gods, directed by Stéphane Lebon.